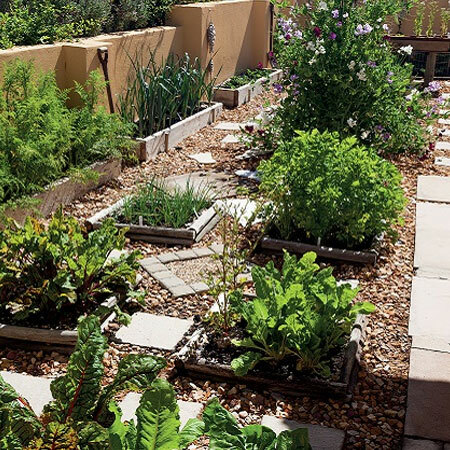 Many homeowners are looking at turning their lawn area into a sustainable vegetable garden that can support a small family. Believe it or not, it is quite simple to transform your lawn area into a sustainable garden and we have put together an article that explains how to start this process. The first step when looking at transforming lawn into a sustainable garden is to decide on a basic plan for the area. You will obviously want to start growing your own vegetables and need to look at what vegetables can be established easily in your particular region. The above is just a guideline for some of the vegetables you can grow in your own garden, and you can best decide on what type of vegetables to grow based on your own preferences. The first item on the list to prepare the area for planting your vegetable garden is to remove the existing lawn. Once all the lawn has been removed you will then need to remove any stones and level out the area as much as possible. 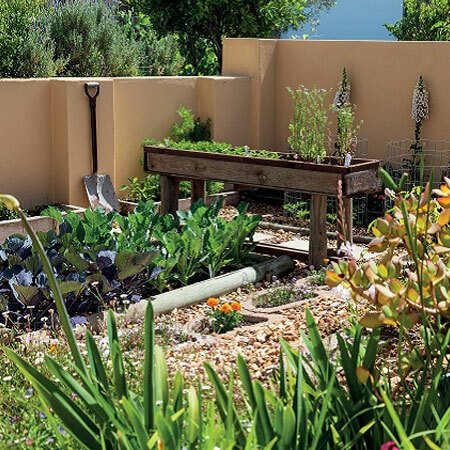 If you have a sloped lawn, you can build a tiered garden using raised beds to compensate for the slope and add interest to the finished sustainable garden. 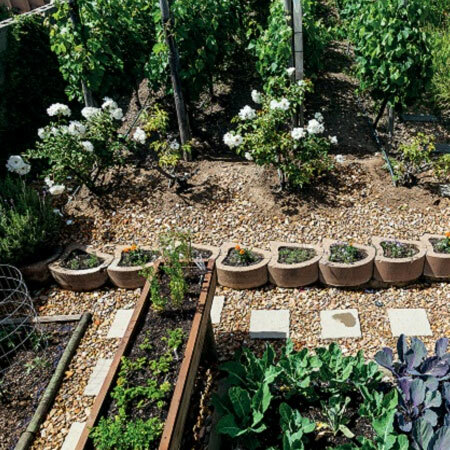 To make your sustainable vegetable garden easy to maintain, you can look at setting out a variety of bed design, such as making your own raised beds using reclaimed wood or pallet wood, using salvaged wood to set out beds, and other readily available materials that can easily be filled with a variety of veggies. Concrete planters are available at Builders stores or building merchants and these can be filled with organic soil and potted up with small vegetables. Using containers for beds also allows you to pack these with rich soil that will support your vegetable garden and supply you with a regular crop of fresh veggies. 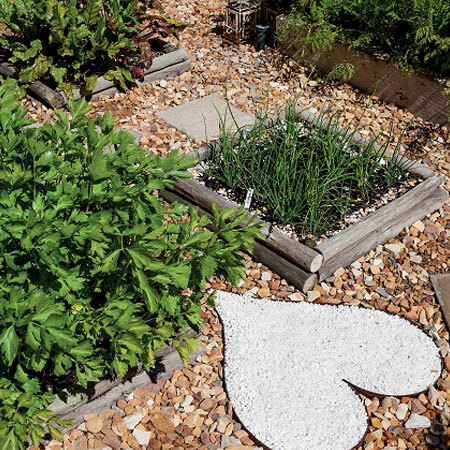 Fill the area around the beds with gravel or small stones to keep weeds at bay. Another alternative is to put down landscape fabric and place gravel or small stones on top of this. 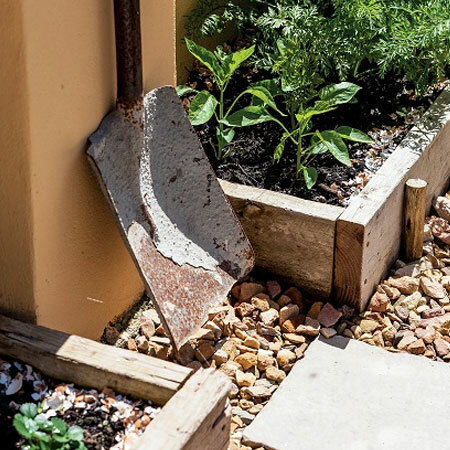 This will create a low maintenance area that will not need to be weeded on a regular basis and let you enjoy your sustainable garden even more. Add even more interest to your sustainable vegetable garden with the addition of bushy herbs and companion plants that can be added to control pests. Your local garden centre will be able to advise on the best companion plants that you can grow to prevent garden pests and also add colour and interest to your vegetable garden. Don't let snails and slugs eat all your hard work. Use an eco-friendly snail bait or scatter pea gravel around your plants to protect them from snails.